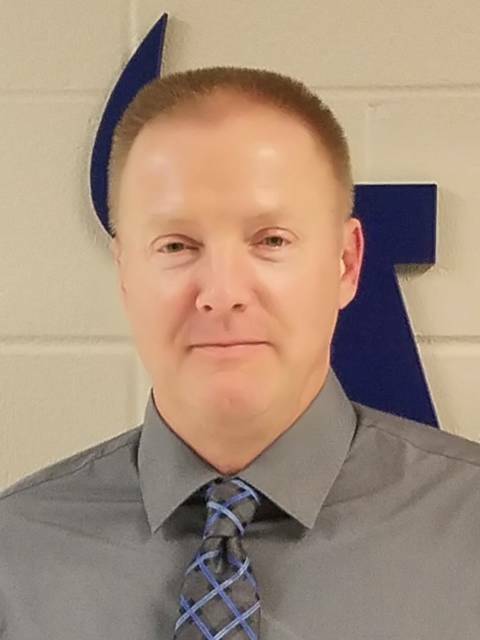 CASSTOWN — The Miami East Local School board of education tapped Mark Iiames as president of the school board at its annual reorganizational meeting on Monday. Iiames will serve as president and Mike Rindler will serve as vice-president in 2019. The board will meet at 7 p.m. the third Monday of the month except for its February meeting which will meet on Feb. 19 due to the President’s Day holiday. The board meetings are held at the Miami East High School lecture hall. The board appointed the members to serve on the following committees: OSBA (Legislative Liaison) — Mark Iiames; M.V.C.T.C. — John Demmitt and Mike Rindler; Athletic Council — Brandon Fellers and Kevin Accurso; Facilities — Mike Rindler and John Demmitt; Alumni Hall of Fame — Mike Rindler; Miami East Foundation — Mark Iiames; Audit Committee — All members of the board. Superintendent Dr. Todd Rappold updated the board on the district’s plan to install LED lighting in all classrooms over the summer. Rappold said he’s reviewing proposals from two energy companies. He informed the board he visited Bradford Exempted Village Schools which recently installed the lighting in their building. The installation will likely be done in phases and will allow teachers to use a dimmer to control the lighting. The LED lighting program will replace the current lighting which needs replaced often and is to be more cost efficient. The board accepted David Scott’s letter of retirement effective at the conclusion of the school year. Scott is the high school’s chemistry and physics teacher. He’s been employed at the district since 2006. “He’s done a phenomenal job,” said Superintendent Dr. Todd Rappold. Miami East Junior High Principal Allen Mack’s letter of retirement at the end of the school year was accepted at the November 2018 meeting. Student aide Ellen Granlund’s letter of retirement at the end of the school year was also accepted at the November 2018 meeting. The board also approved its final year of the high school’s bond issue savings in November 2018. The district implemented a five-year ramp up collection of the levy collection schedule due to its $1 million building savings for the construction project. The full collection rate will be effective 2020 due to the district slowly implementing the full millage collection rate created by the project’s cost savings. The Miami East Alumni Hall of Fame nomination applications are due by Jan. 31. At the November 2018 meeting, the board approved a three-year contract with Brian Francis for 20 acres of farm land rental through 2021. The board also approved Lostcreek Lawn and Fence company for mowing and snow removal for 2019 and 2020 school year at the November meeting.